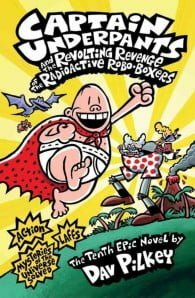 The tenth epic Captain Underpants novel! When we last saw our heroes, George and Harold, they had been turned into evil zombie nerds doomed to roam a devastated, postapocalyptic planet for all eternity. But why, you might ask, didn’t the amazing Captain Underpants save the boys from this frightening fate? Because Tippy Tinkletrousers and his time-traveling hijinks prevented George and Harold from creating Captain Underpants in the first place! Now, having changed the course of human history forever, they’ll have to figure out a way to CHANGE IT BACK. Could this be the end for Captain Underpants?!! 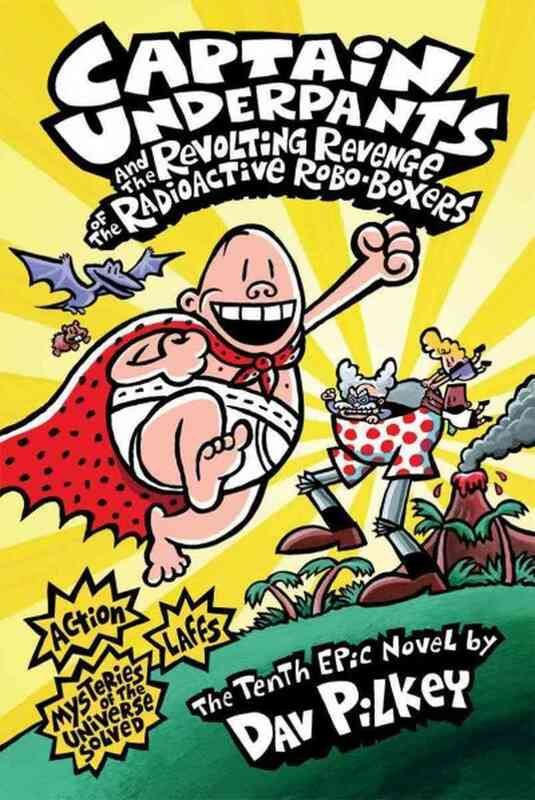 This is a fabulous adventure for the beloved Captain Underpants suitable for children aged 5-9. A great way to encourage reading for young children, it’s a surefire hit! Dav Pilkey has written and illustrated numerous popular, award-winning books for children, including the Captain Underpants and Dumb Bunnies series; Dog Breath, winner of the California Young Reader Medal; and The Paperboy, a Caldecott Honor Book. He lives with his wife in the Pacific Northwest. In 1996, Dav moved to Seattle, Washington. He then took a ferry from Seattle to Bainbridge Island, WA where he has lived since 1999. He divides his time between Bainbridge Island, WA and Minami Izu, Japan.